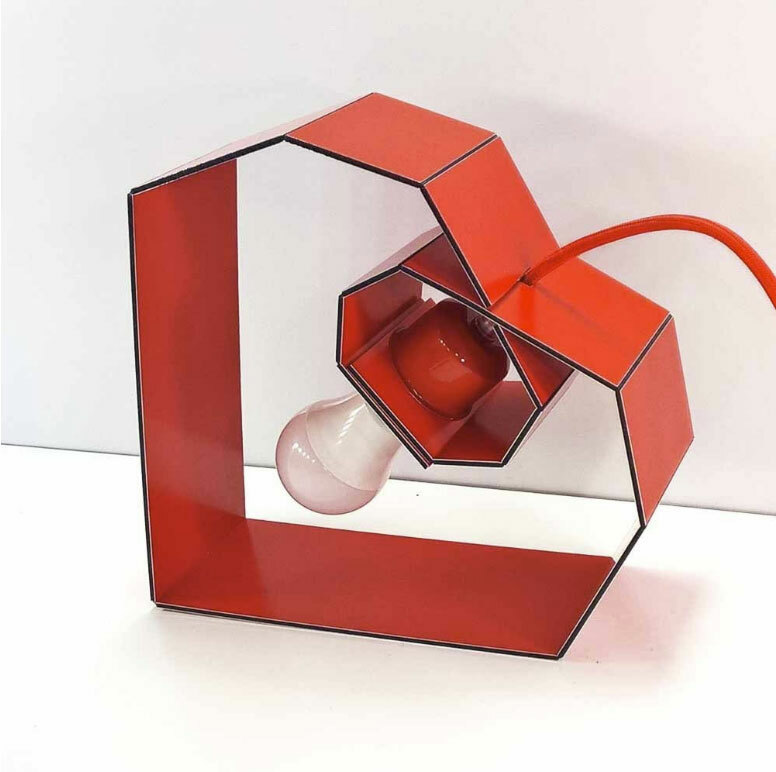 UpcyDesign was created by German design duo Axel and Michaela Kresse. 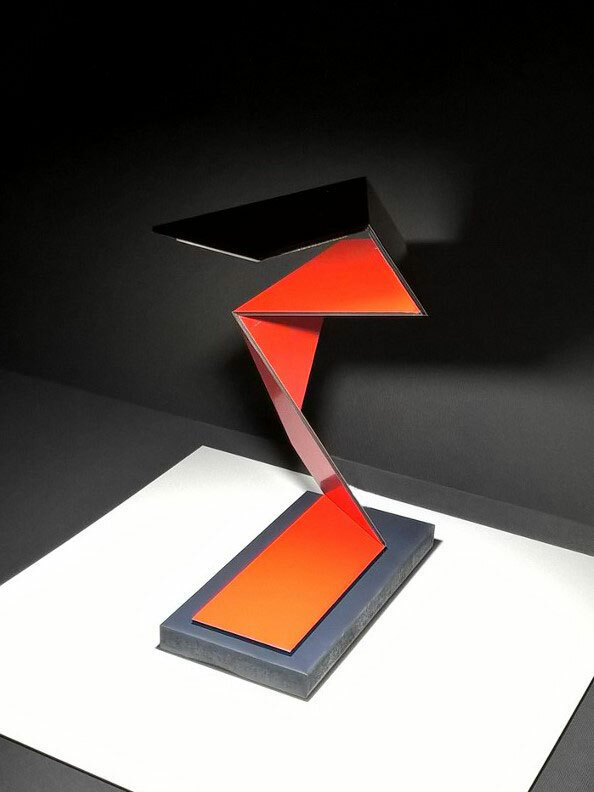 Their impressive lighting series utilizes Dibond aluminum composite scrap material that it upcycled into unique lamps. Michaela, one half of the design duo, first discovered Dibond at a university design workshop. Dibond, in its use in exhibits and signage can often produce waste or unused material; it is this scrap material that Michaela and Axel utilize for their lamps. Axel explains it was the production of scrap material and the thought that excess material would be thrown away and virtually “wasted” that influenced their decision to think of innovative ways to utilize the Dibond for applications such as lighting. Interestingly, they never cut the existing scrap materials they are given; they leave them in their original state only manipulating them through intricate folding techniques from three-dimensional models created via computer software. “This material is ideal for folding. Which is why these forms just come into our minds. They look like Japanese origami, the ancient art of folding paper, and to us, they are timeless in their design,” Axel explains. Although the project utilizes traditional methods of folding it also features a unique approach where the material is heated to create the folds without cutting. 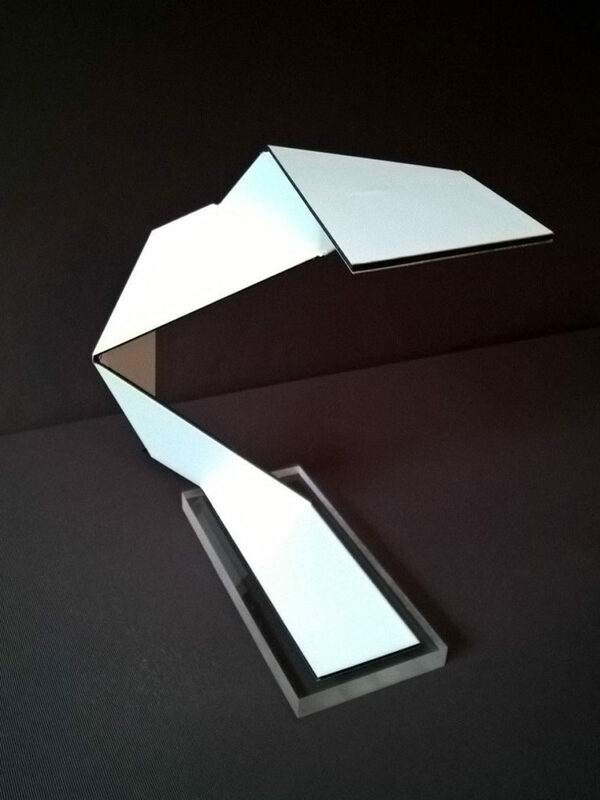 These differing methods of folding allow each lamp to be truly unique in design. The middle layer, known as the plastic layer, serves as the insulation while the aluminum is used to transfer the current and that is the reason no wires are needed in the lamp’s design. Additionally, the lamps utilize very low voltage making them incredibly safe. And when turned off, they serve as a great design element to any interior.